Yoshugi is an e-commerce that follows the dropship model of online retail. They are headquartered in Singapore and sell a range of affordably priced goods to their customers. Yoshugi knows the value that Facebook advertising brings to businesses. For years, they have used Ads Manager and Power Editor to test the popularity of their products and optimize their campaigns for maximum ROI. The team of 70+ employees at Yoshugi are very experienced performance marketers. Mr. Rubiantono considers them crucial to the success of the company and therefore takes great care to continuously support their education and training, including international offsites. However, with thousands of products to research, test, advertise and optimize, they started to reach the limits of Facebook’s native tools and manual approach. They needed new technology to help them scale further. This is where we came in. Yoshugi advertises products to a global audience, periodically targeting potential customers in 6 continents. The main challenge that Yoshugi needed to overcome was to test their many products against a given audience and scale them for a worldwide audience as quickly as possible. The native tools of Facebook, in combination with the advanced tools from ROI Hunter made us the perfect FMP to test a product to a distinct audiences and demographics. This is based on intuition and an innate understanding of your audience. If Facebook is delivering good basic metrics, the campaign will be duplicated to test various interests & demographics to capture more conversions. 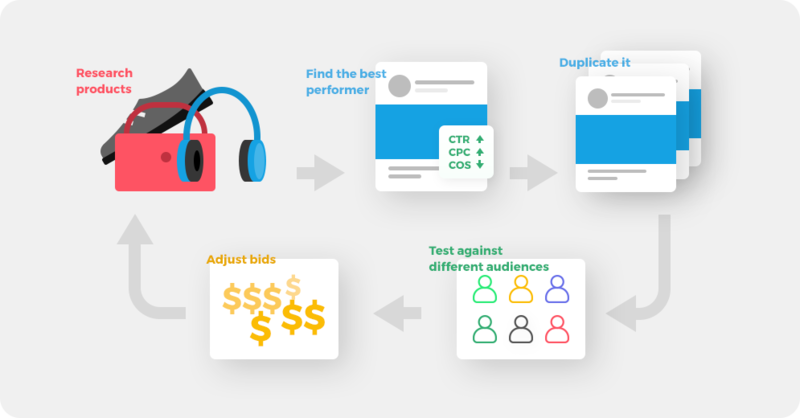 Once the best audience is found, we then test multiple levels of bids. In order for us to truly help Yoshugi make the most out of their campaigns we needed to determine when we had reached a threshold or saturation of a product and which trends in ROI emerged as a result of our repeated testing. These trends in ROI matter even more than the threshold a product reaches. a) Cloning feature allowed us to clone their campaigns for other virtual accounts and edit targeting only switching countries. It saves their time on ads creation. b) Automatic Segmentator gave us the ability to create multiple ad sets in one go and test ads across several markets. a) Virtual Accounts gave us an overview of the different countries that we ran campaigns in. When campaigns are segmented according to the market, section of marketing funnel, currency or more, it becomes easier to compare how the different segments measure in comparison to each other. b) Performance goals allowed us to instantly determine when an ad or campaign was running less than satisfactorily. There are rules placed on these goals to alter the way the campaigns ran. c) Automatic rules made it possible for us to pace budgets based on the time of the day or performance of the campaign. 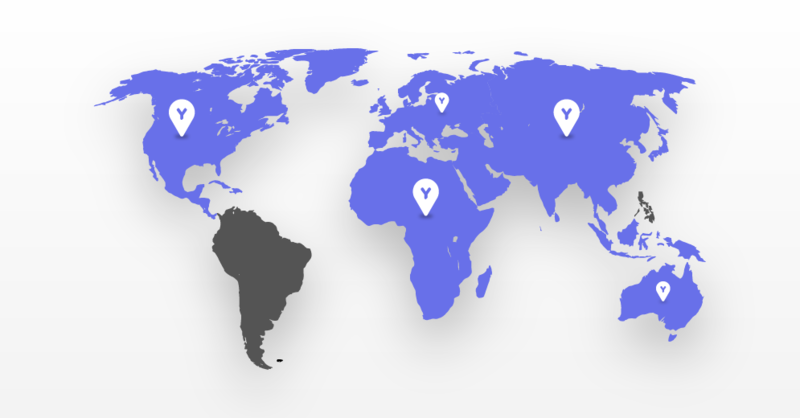 Given the sheer amount of countries and therefore ad sets, these functionalities proved instrumental to help Yoshugi scale efficiently on Facebook, increasing their average monthly Facebook ad spend 3X over. The manual actions taken by the Yoshugi team would often take hours on Facebook’s native tools. After we automated their workflow on ROI Hunter with automatic rules, we were able to provide invaluable free time to the team. Additionally, the team now uses the same dashboard across multiple ad accounts so they have one unique way to analyse and manage their business at scale. This increased efficiency gave Mr. Rubiantono and Yoshugi further time to work on an initiative with the Indonesian government to train new local entrepreneurs and create an online platform for them, hopefully generating many new jobs in the region. We have already had the opportunity to run several campaigns together. Slideshow DPA campaigns alone achieved an ROI of 3X. This campaign had an 8% CTR, a substantial 5 point increase from the account’s 3% average.